This is a book I have been meaning to read for years. After finishing my A-levels, my close friend Charlie and I decided to walk the Isle of Wight coastal path for charity. During the five days it took us to complete this, we talked about lots of things including books. Both Charlie and I were avid readers and were soon recommending future reads to each other. Charlie, horrified that I had never even heard of Hitchhiker’s Guide to the Galaxy insisted that I must read it. Four years later, I have finally fulfilled my promise on the matter. 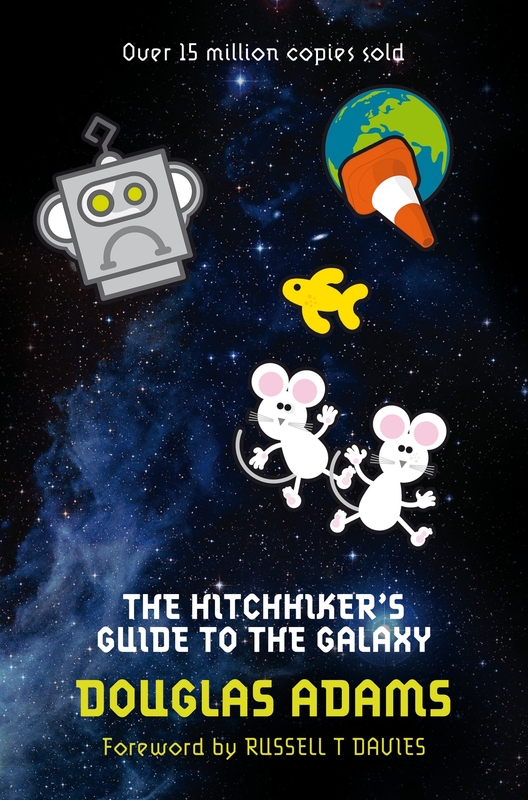 Hitchhiker’s Guide to the Galaxy combines sci-fi with humour. The plot centres on the misfortunes of Arthur Dent and his Betelgeusian friend Ford Prefect as they hitchhike their way across the universe following the destruction of Arthur’s house (and planet). From Vogon poetry to a kleptomaniac President of the Imperial Galactic Government, mice from another dimension and a paranoid (and possibly suicidal) android named Marvin, this book entertains from page one until the last sentence. For anyone who likes sci-fi and has retained the humour section of their brain, Hitchhiker’s Guide to the Galaxy is perfect. It never fails to keep your interest, throwing in twists and turns at every point. This is the first book in a long time where I haven’t been able to essentially guess the ending of the book by about a third of the way through. This made such a refreshing change and made me look forward to the evening just so Jim and I could find out what happens next!